Hunting Conservation Group Objects To Arby's Venison Arby's has "got the venison" now and is marketing these new sandwiches to hunters. But an organization of hunters, anglers and conservationists has beef with it. An Arby's in Bozeman, Mont. Arby's is the first major fast food chain to serve deer meat nationwide. 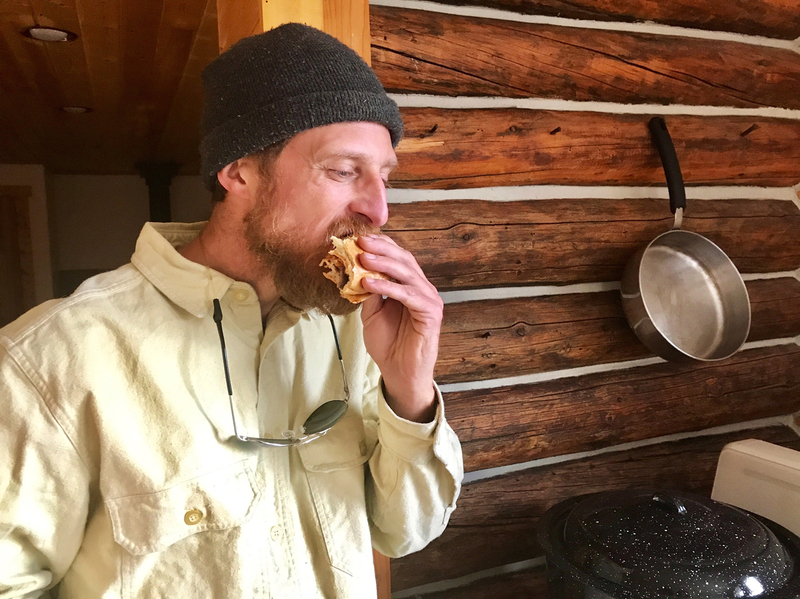 At a ranch house in rural Montana, Rick White peels the bun off Arby's new venison sandwich. "It looks like deer," he says. "Venison." "It's a gray meat," he says. "It doesn't look like a ground patty. It looks more like McDonald's style, but thicker." Like a lot of people in Montana, White is a lifelong deer hunter. And he's just the kind of person Arby's wants eating their new venison and elk steak sandwiches. The company rolled them out on Oct. 21 as many states were starting their annual hunting season. Arby's tested elk steak sandwiches in three locations and they're the first major fast food chain to serve deer meat nationwide. Lifelong hunter Rick White tries Arby's new venison sandwich at his home in Twin Bridges, Mont. Not everyone was drooling with excitement. "We really shouldn't be selling game animals for food," Dave Chadwick, executive director of the Montana Wildlife Federation, says. His organization was founded by hunters, anglers and other conservationists. 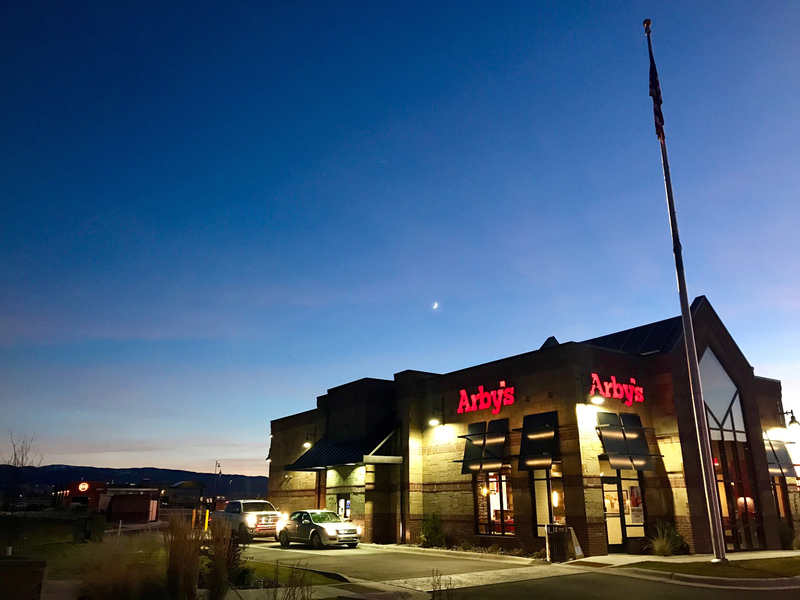 This month the group sent a letter to Arby's asking the company to reconsider serving venison and elk steak sandwiches, in part because they hark back to a long and dark history of selling wild game in the United States. "One of the real drivers of America's wildlife crisis in the 19th century was unregulated market hunting and the idea that big game animals were being shot and sold for food," he says. Arby's isn't sending hunters into the woods to kill thousands of elk and deer. That would be illegal. Instead, the fast-food company is sourcing their venison from game farms in New Zealand. "It's free-range, grass-fed, red-tailed deer, the highest quality venison you can get anywhere in the world," Arby's President Rob Lynch says. According to Lynch, it's the same venison that is served at high-end restaurants across the country. "You can't procure venison in the United States at scale to commercialize, so you have to go all the way to New Zealand to get this," he says. But for Chadwick, game-farmed deer and elk — even if they're from New Zealand — still strike a nerve. "It's still just the principle of selling an animal that most Montanans recognize and hold dear as a wild animal and really a symbol of the Rocky Mountain West," he says. Lynch says he respected where the Montana Wildlife Federation was coming from. At the end of the day, he says, it's going to be individual hunters who decide whether or not they'll take to Arby's new sandwiches. Hunters like White. He's leaning over his stove, chewing on the sandwich. "It doesn't taste strongly of deer," he says. "I would say it would be like deer-ite. Not a Budweiser but a Bud Lite. It doesn't have that punch to it but in a pinch it's not a bad sandwich." So at least one hunter likes it. And apparently so did a lot of others, because the company said many of their locations sold out on the first day.